Next to that it supports PikkaBird's stone bridge. How to unlock all these possibilities can be found in the readme file. You can get a preview by viewing the screenshots below. Thanks, Purno. It owes a lot to you and Szappy too! Right, nice set, about time it was released. One thing I forgot, is that it is compatible with Michael Blunck's Alphine Climate grf. (see attached image). Sorry, Hyronymus, it was such a little change I forgot to mention it. Last edited by Lakie on Sat Mar 18, 2006 8:51 pm, edited 1 time in total. But...why .pdf instead of .txt? Add some pictures to justify .pdf! EDIT: Whoa, DB trains running on the left side of rail tracks...I'm scared. Ok, seriously now... I have found a compatibility issue with a graphics set: http://www.bornacorn.com/newoffice3.zip It isn't even a road set, but the CRS says it is and disables its roads whenever newoffice3 is active. Another thing is that I cannot use Purno's bridges together with Pikkabird's viaduct, even though BR_viaduct is above COMBROADW. This did not happen when Purno's bridges were a separate grf. Rob's cantilever bridges work fine with the viaduct. I just got your pm. Once my HQ is compatible with it i'll post a preview pic in my thread. Looks really great! Can't wait to test it. I think Born_Acorn used the same grfid for that new offices as for his road set. I'll have to investigate that to be sure. You just didn't read the manual did you? EDIT: Lakie confirmed my suspicion: Born_Acorn used the same GRFID for his offices as for his roadset. I'll ask him to fix it. In the mean time I advice you not to use his offices if you desperately want to use the Combined Roadset. 1. Born_Acorn used the same grfid aparently, so blame him. 2. Purno's bridges REPLACE the same bridge as Pikka's, so you cannot use them together even if you wantted to, they are incompatible. 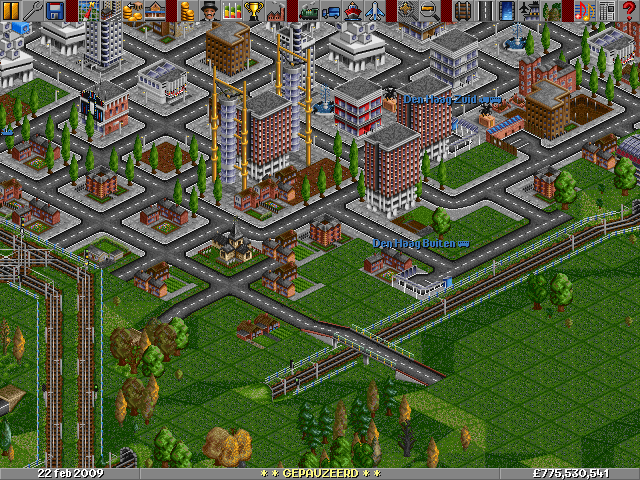 I see many issues when running this wonderful set on OpenTTD. 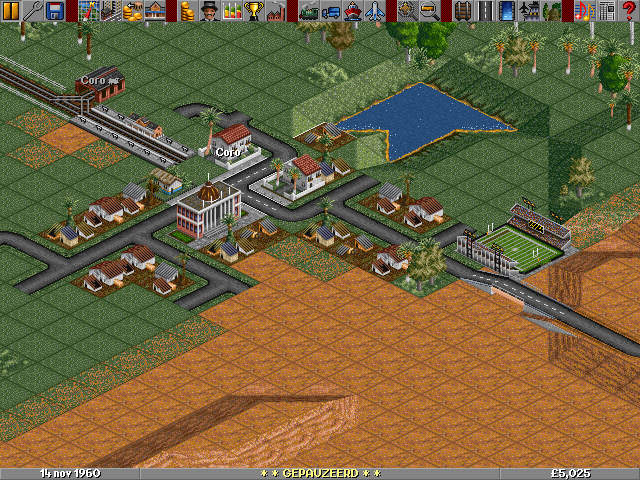 Perhaps I should speak to OpenTTD devs about the newgrf support, because I see roads on bridges are messed (USSet road is present, I don't really know why). 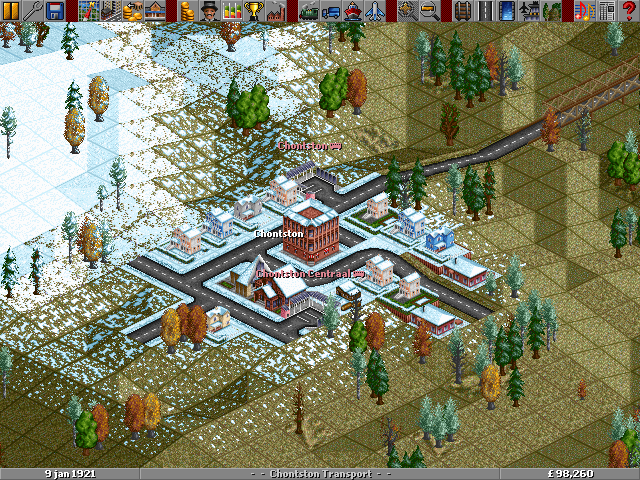 Also, desert tiles appear over the snowline. Why do you think this set is posted in the TTDPatch Graphics section? I and the other artists never intended to support OTTD. We know that the grf-support is screwed for OTTD. Together with the (slow/lack of) progress on the new graphics system made the decision quite simple: forget about OTTD. 1) Find the non-conforming sprite(s) and report them. 2) Implement proper newgrf support in Open. I have the same compatibility problem when the parameters for combroad are set to enable the European roads and Purno's bridges, regardless of the positioning of the viaduct relative to combroad. The manual does not mention any way to rectify the situation. The set looks great Hyro and others! Can you please all read the manual instead of glancing at it? I think I made pretty clear what combinations should be possible and which won't. It doesn't explicitly say which combinations are impossible, no. I take it Purno's bridges and the viaduct are simply not compatible in this set. No, but it does tell you which combinations ARE possible. Which, by process of elimination, would mean that the OTHER combinations are... gasp... impossible. How about showing some respect to the people that spent all their hours working on this wonderfull set, rather than nitpicking at a manual which (I might add) is perfectly serviciable if you take the time to READ it. Oh, and as you need the obvious stated, this is the end of my post.